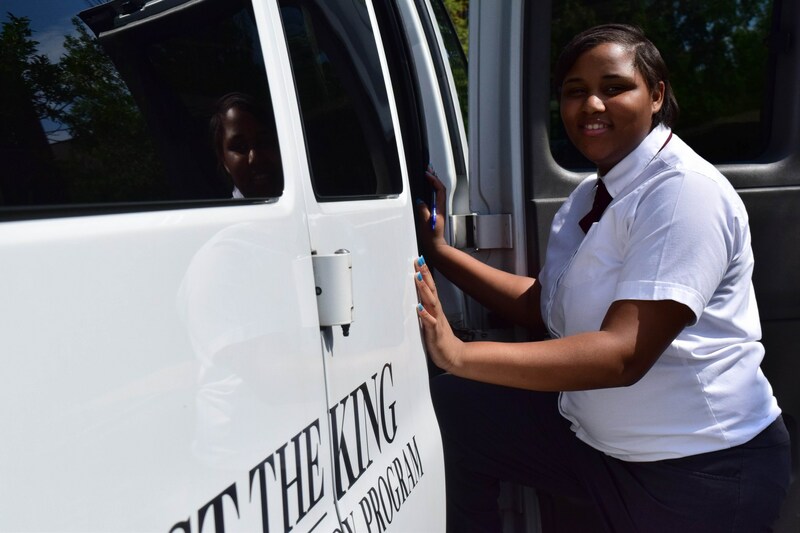 One team of Christ the King students covers a 40-hour work week (1 FTE). A team is made up of four students, each of whom work one day per week every week, and rotate Mondays. Job partners have flexibility in how to assign the team. The four students can job-share—each reporting to the same manager and performing the same tasks day-to-day. Or, the four students can be managed by different supervisors in different departments. 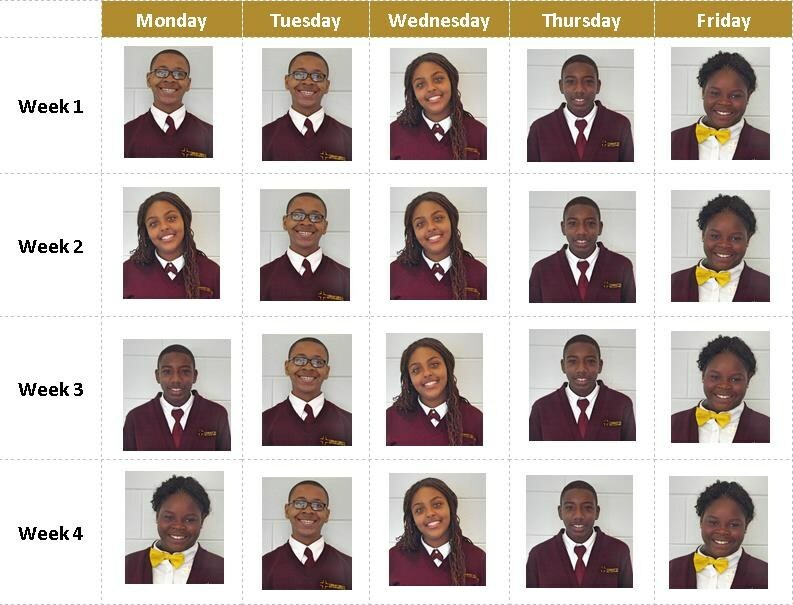 The following chart illustrates the rotation of (4) students.